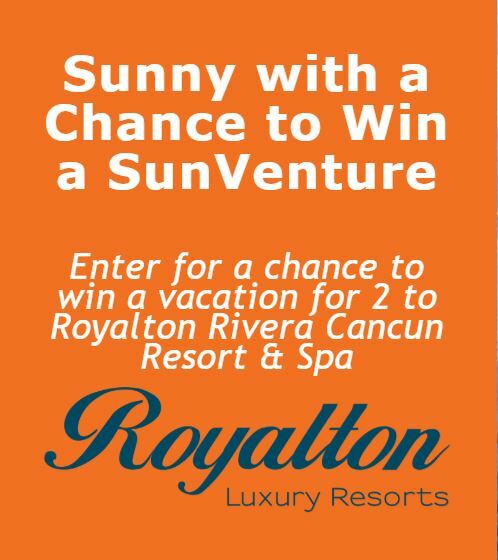 Enter the new The Weather Network and Sunwing Contest, in it, you get the chance to win a vacation for 2 to Royalton Rivera Cancun Resort & Spa. This contest is open only to legal residents of Canada (excluding the province of Quebec) who have reached the age of 21 years or older. To enter you simply have to visit the official competition web page and completely fill out the entry form with all the required details including name, last name, email address and phone number. Contest closes on November 18, 2018 at 11:59 pm EST. Winner will be selected at random from among all eligible entries. The The Weather Network and Sunwing Contest will run from October 8th, 2018 at 12:00 am EDT until November 18th, 2018 at 11:59 p.m. EST. The prize draw will take place on November 19, 2018. Winner will be notified by telephone.